Tzvi Gerinaeime, age17 and a half, is a resident of the settlement Hashmonaim. He has studied sound and music with great musicians, Eli Yaffe, Mordechai Sobol, and Rafi Biton. At the same time, he studied the theory of cantors in Israel. His musical career began more than three years ago when he performed live along with Yisrael Parnes and Cantor Shlomo Glick in front of an audience of 600 in honor of Yeshiva Ner Tamid. Greenheim participated in the talent competition of the Institute for Jewish Music “Rinanot“ led by musician Ezra Barnea. He was highly praised by the judges and the applause of the enthusiastic crowd of hundreds of people attending. Two years ago, he appeared with his band in front of a thousand yeshiva students at Bar - Ilan University. 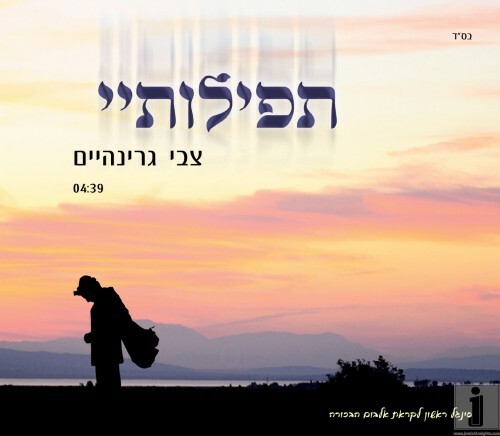 “Tefilosi” is an exciting song hoping for the Final Redemption. It includes some of the best musicians such as Gilad Apotolsky, Shalhevet Orchestra, Avi Avidan, Avi Singolda, Aryeh Berkowitz, Shai Dagan, and Marc Rosen.